Foundation is a bit of a funny one to review, isn't it? There's so many different coverages and finishes. Which can work well on different peoples skin types. This is my first foundation review, I believe, so I hope you stick with me and it's not too boring for you. I should probably also start off by saying my skin is combination. I get super dry patches but I also get an oily t-zone. 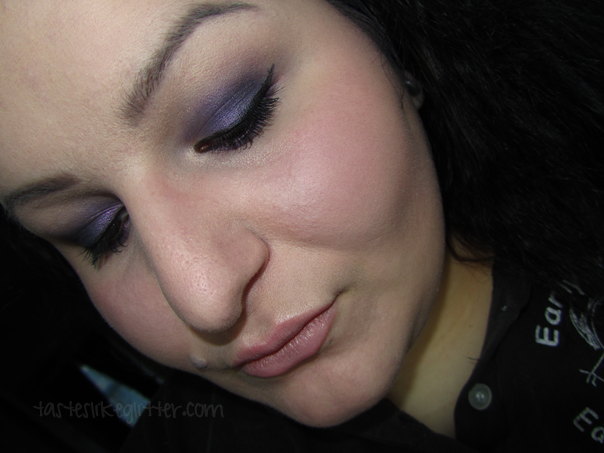 I am an NW15 in M.A.C Studio Fix Fluid but it's not quite pale enough. I also recently purchased the new Matchmaster foundation which they've made a paler shade 1.0, not even that is pale enough. I like my foundation full coverage, matte, lightweight and breathable. Is that too much that I'm asking for? 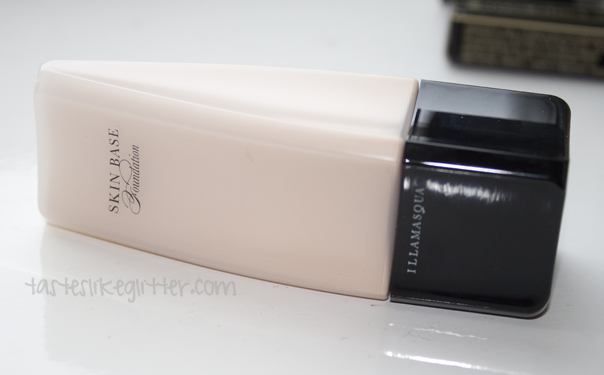 When I made my first trip to Cardiff, I was finally able to see Illamasqua foundations in person. Although right before I went I heard a lot mixed things about this, the colouring was perfect so I was sold strictly on that. The SA offered me a sample but I just went and bought the full size. Inspired by the cult Asian market Beauty Balm creams, Skin Base Foundation is a brand new, refined formula unlike anything on the UK market. Easily blendable, it effortlessly creates a perfect complexion, and like the entire Illamasqua foundation range, is undetectable in a professional HD environment. Suitable for all skin types, it smoothes, softens and conditions your skin whilst providing natural, buildable coverage. According to Illamasqua's foundation matrix this is the correct shade for an NW15. I don't agree with that, although this is perfect colouring for me it's significantly paler than NW15. Skin Base in 02 is the next shade down from pure white. This is a favourite of the Pixiwoo sisters and in a recent video Sam made a point of explaining the best way to use this. Stipple it into the skin (I used a M.A.C 187). Then buff it in with either, the same brush or a buffing brush. I used M.A.C's 109, it sheds like you wouldn't believe but I personally found it easier than using my 187. Am I loving this? In a word, yes! Unlike M.A.C's Studio Fix, which can sometimes feel extremely heavy and like my skin is being suffocated. It's lightweight but has plenty of coverage, a touch more would be perfect but concealer helps with that problem. It also doesn't oxidise, no matter how long you leave it on for. The colour at the end of the day is the colour you put on to start with. I wouldn't recommend this if you have dry skin though. I've seen a couple of reviews where people have mentioned how much it accentuates the dry patches and I have to agree. That would be my only negative though. I've also began mixing this in with my other slightly too dark foundations to lighten them up. It's pricey at £25 for 30ml, slightly less for your money than M.A.C (Studio Fix £19.50 30ml/Matchmaster £24.50 35ml) but I am glad I finally got to see the colours in person and purchase something much more suited to my pale complexion.